If you have learned that you may need a root canal procedure, you may be wondering what exactly this procedure entails. 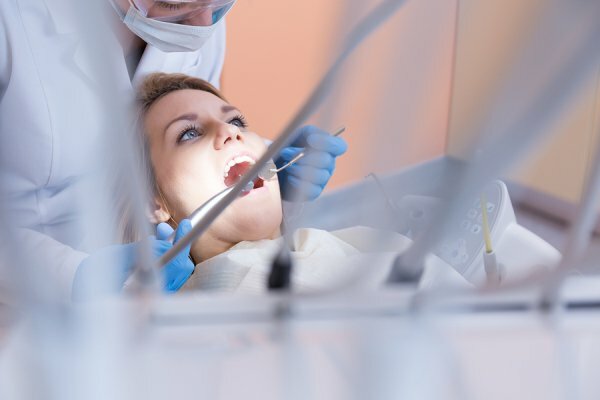 Root canal technology has advanced significantly in recent years, and your St. Louis dentist will be able to provide you with a much more comfortable experience than dental patients of the past could expect. Here is a brief overview of how a root canal works. When you come to your dentist’s office for a root canal procedure, your dentist will begin by applying local anesthesia in order to ensure your comfort. A rubber dam is placed to keep the tooth dry. Then, your dentist will gain access to the inside of your tooth—that is, the root canal. At West County Dental, we utilize the Solea Laser to ensure precise and painless treatment during this procedure. Once your dentist has gained access to the root canal, he will remove all of the infected tissue from your tooth’s interior. Patients can expect this step of the procedure to be painless and safe. Your dentist will continue cleaning the inside of your tooth until all of the pulp and nerve tissue has been taken out. The final step of the root canal procedure is to fill and seal the tooth. This often takes place at a second appointment. After your dentist has finished cleaning out your tooth, he will seal it using a filling, then place a dental cap to ensure that the tooth stays stable and free from future infection. Your treated tooth may be sensitive for a period of time after the procedure. If you are experiencing any discomfort in your teeth, it’s time to visit Dr. Spalitto and his team at West County Dental. We will be happy to thoroughly answer your questions about oral care and address any concerns that you may have about root canals. Call us today at (314) 821-2712 to set up an appointment at our office.